Ranbir Kapoor-Alia Bhatt to Not Get Married But Engaged This Year on Neetu Kapoor’s Request? Ranbir Kapoor and Alia Bhatt might get engaged this year. The reports of their wedding in 2019 have been surfacing in Bollywood’s grapevine for quite sometime now. However, the latest media reports suggest that the couple might just exchange rings and not actually get married this year. 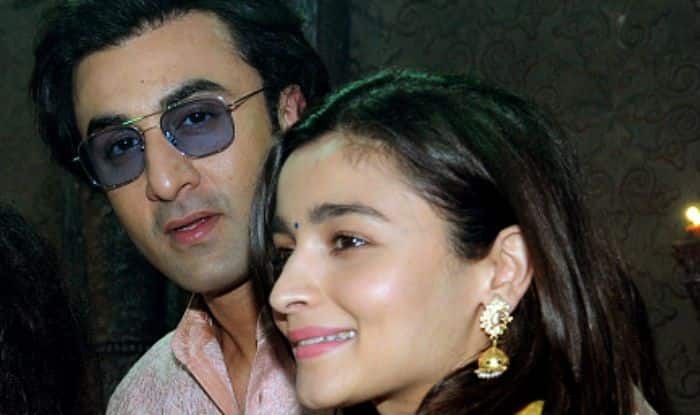 A leading daily has learnt that Ranbir’s mother, Neetu Kapoor is adamant about Ranbir and Alia getting hitched soon, but the couple still wants to take things slow. As per a report in Mumbai Mirror, Ranbir-Alia might just agree to fulfil the actor’s mother’s wish. The report has quoted a source close to the couple saying, “While everyone is speculating about another Bollywood wedding this year, but it is being reported that the couple plans on waiting it out, at least until their upcoming film together is released.” But since Ranbir is very attached to his mother, it won’t come as a surprise if Neetu Kapoor manages to convince Ranbir to exchange rings early this year”. The couple was seen spending New Year holidays with Ranbir’s family in New York. The Kapoors seem especially delighted to have Alia participating in the celebration. Their pictures also went viral on the internet. Meanwhile, both Ranbir and Alia are currently busy filming their respective projects. While Brahmastra is more or less completed, Alia is finishing the last shoot schedule of Kalank. For Ranbir, the shoot of YRF’s Shamshera has begun. The actress has got Gully Boy promotions ahead after she launched the trailer of the film with Ranveer Singh in Mumbai. Earlier, talking about her marriage plans, Alia told ANI, “When will I marry? Why is everyone asking me when I am getting married. The same question is coming all over. So you know, I am only 25 years old. I think it’s too soon to get married right now”.